I've been using this tooothpaste for years now, so I thought I'd write a review. 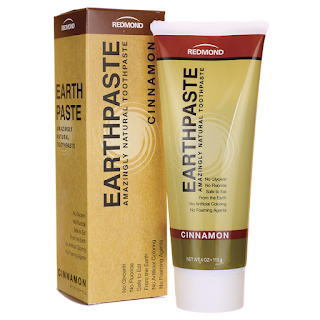 The reason why I chose to buy it initially was because it was the best EWG-rated toothpaste that I could find for sale at well.ca. You can see how good it is in the ingredients list: they are few and all pronounceable. The paste itself is very different from conventional ones, in that it doesn't foam (but apparently, foaming agents are bad for you, so that's a good thing). That took a little bit of getting used to. The other thing I noticed with this toothpaste is that it doesn't have that fresh/minty feeling after I brush. As a society we are conditioned to think that our mouth will only be clean if we have that sensation, so it took me a while to get used to this different feeling. Now that I've been using this toothpaste for a while, though, whenever I try a "regular" toothpaste, it tastes really chemical and super harsh on my mouth. But most important of all, I feel really good using this toothpaste because I know I am taking care of my body. I highly recommend this toothpaste, and will beep on buying it. PS: You can use this link and Promo Code 3HFALL to save $10 off your first $40 purchase (and yes, they do ship outside of Canada).